The Maze Runner: The Death Cure hit a production snag earlier today. Though, it is not yet known how serious the situation is. 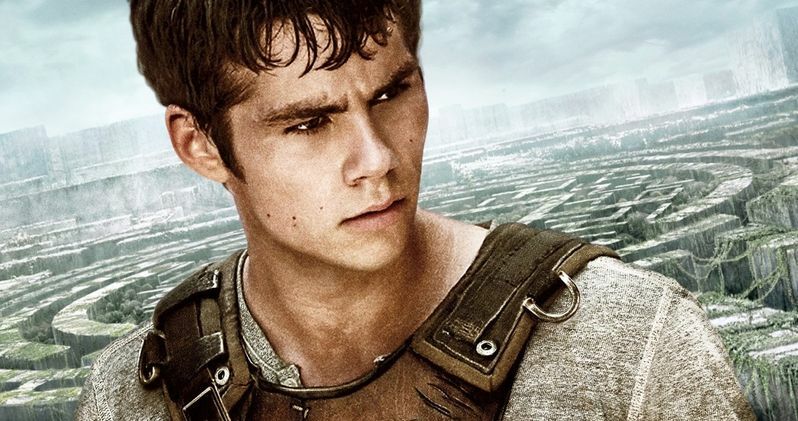 Production has halted on the third and final chapter in the Maze Runner series. Star Dylan O'Brien was injured on set in Vancouver. While he was rushed to the hospital, there is no word on exactly what happened. The entire The Maze Runner: The Death Cure shoot has been officially shut down, allowing for Dylan O'Brien, who features heavily in the movie, to fully recover. It has been suggested that the injury is not critical. An official report is expected to arrive sometime later today or this weekend. TMZ claims that the accident is much more serious than the studio is letting on. The actor is said to have broken several bones, and that the injures are severe. The actor is said to have been involved in a car stunt that went horribly wrong. The Maze Runner: The Death Cure is set to hit theaters on February 17, 2017. It isn't known yet if this on-set injury will result in the movie being delayed. There is no word that the studio has issued a new release date. 20th Century Fox did release this statement. "Dylan O'Brien was injured yesterday while filming 'Maze Runner: The Death Cure' in Vancouver, Canada. He was immediately transferred to a local hospital for observation and treatment. Production on the film will be shut down while he recovers. Our thoughts go out to Dylan for a full and speedy recovery." The Maze Runner kicked off in 2014, and is based on James Dashner book series. The story revolves around Thomas (Dylan O'Brien), a teenager who arrives in a glade at the center of a giant labyrinth. Like the other youths dumped there before him, he has no memory of his previous life. Thomas quickly becomes part of the group and soon after demonstrates a unique perspective that scores him a promotion to Runner status -- those who patrol the always-changing maze to find an escape route. Together with Teresa (Kaya Scodelario), the only female, Thomas tries to convince his cohorts that he knows a way out. The Maze Runner: The Scorch Trials debuted last September. Transported to a remote fortified outpost, Thomas and his fellow teenage Gladers find themselves in trouble after uncovering a diabolical plot from the mysterious and powerful organization WCKD. With help from a new ally, the Gladers stage a daring escape into the Scorch, a desolate landscape filled with dangerous obstacles and crawling with the virus-infected Cranks. The Gladers only hope may be to find the Right Hand, a group of resistance fighters who can help them battle WCKD. The first movie grossed $348 million worldwide. The second brought in $312 million worldwide. We'll keep you posted as more from the set of The Maze Runner: The Death Cure breaks.